Anise is a dainty, white-flowered annual that is indigenous to the eastern Mediterranean countries. Its liquorice flavour is well known to lovers of the alcoholic drinks ouzo, absinthe, pastis, pernod and sambuca. The spice was popular with the Ancient Greeks and Romans, who used it to sweeten breath, relieve gas and colic and help get rid of phlegm. Despite its similar name, anise is not related to star anise, which is another spice from a different plant family. The ripe, dried fruits and the essential oils that are distilled from them. Anise fruit yields up to five percent essential oil, which is fragrant and syrupy. Trans-anethole, a phyto-oestrogen, is the principal constituent. Other ingredients are estragole, anise ketone, anisaldehyde and anisic acid. To treat catarrh in the respiratory tract in cases of flu, colds, phlegmy coughs and bronchitis. As a possible appetite stimulant. Although side-effects are rarely observed, do not take anise if you are allergic to anethole. Not recommended during pregnancy. 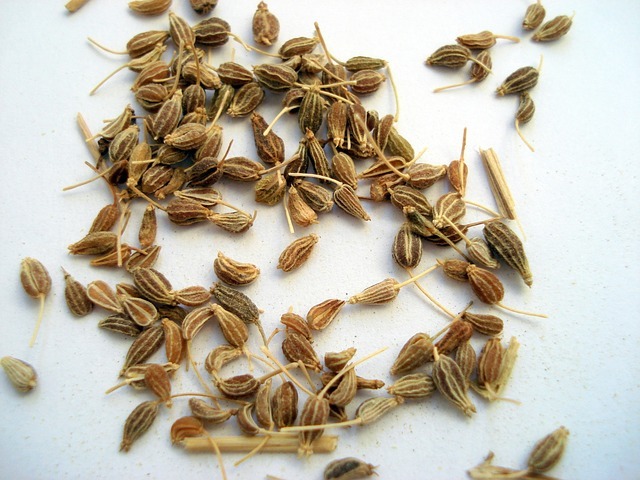 Ground or whole anise seeds are used to flavour desserts and baked goods such as biscotti. The seeds are also often used in sausage making and are the basis for a number of alcoholic beverages such as ouzo, absinthe and sambuca. An easy plant to cultivate (according to http://gardeningeden.co.za), anise will grow from seeds planted in situ in spring. Well-composted soil and full sun are necessary and the seedlings need protection from the wind. The plant can reach 65 cm in height. The seeds appear in late autumn. Compiled for Flora Force by Judy Beyer.